Chérisy is a village approximately 13 kilometres south-east of Arras. 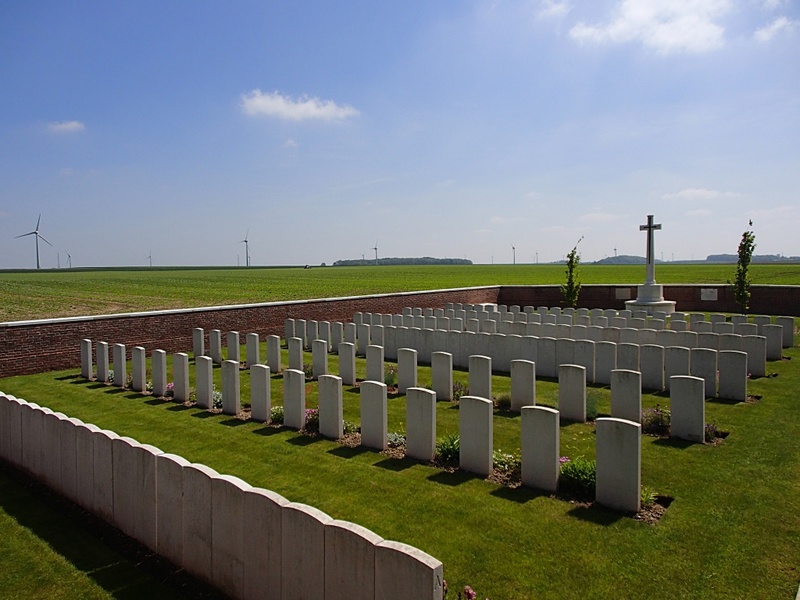 The Cemetery is 1.5 kilometres south-east of the village on the north-east side of the road to Hendecourt, the D38. 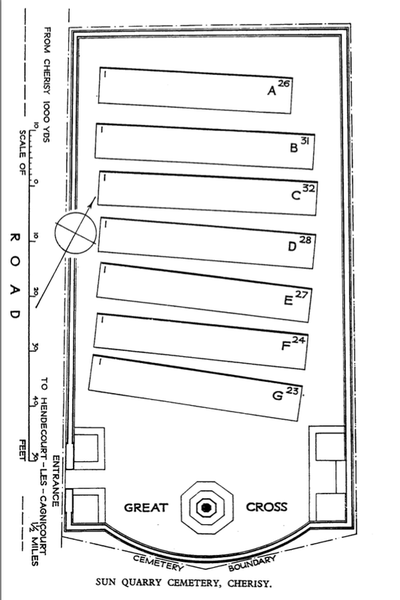 Chérisy village was captured by the 18th Division on 3 May 1917, but lost the same night. It then remained in German hands until it was retaken by the Canadian Corps on 27 August 1918. 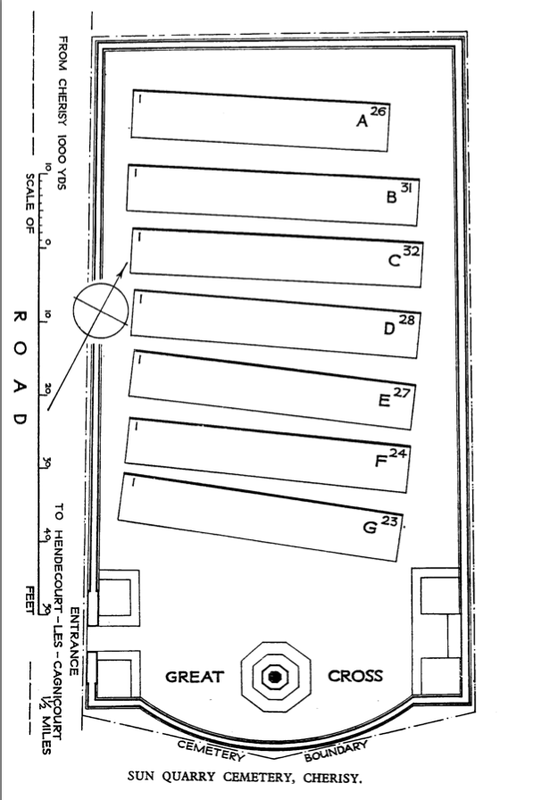 The cemetery takes its name from a flint quarry, known to the army as Sun Quarry. 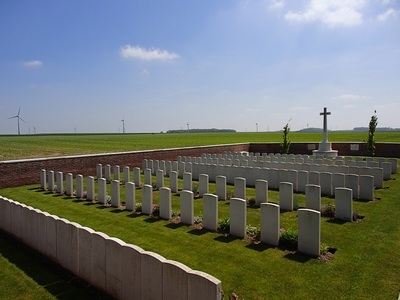 It was made by fighting units, and most of those buried in the cemetery were killed between 26 August and 28 September 1918. 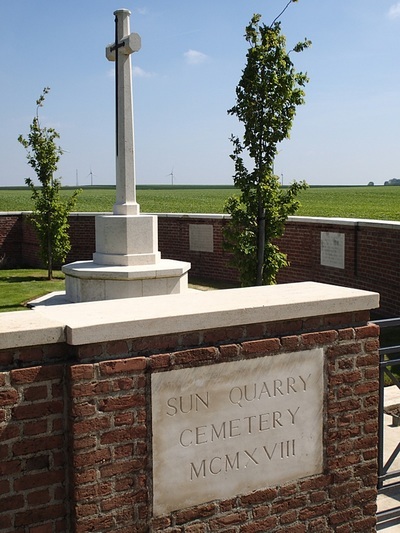 Sun Quarry Cemetery contains 191 First World War burials, eight of them unidentified.